These NEW Babolat tennis rackets, the Pure Aero Lite pink are the ideal racquets to suit junior female players switching over to an adult racket or intermediate-level adult players looking for lightness, maneuverability and spin. They are brand new for 2018 in the pink colour, using revolutionary technology and a major change from the previous Aeropro Lite. The Babolat Pure Aero Lite pink racquets enables players to maximise their spin without losing any of the power in their swing. 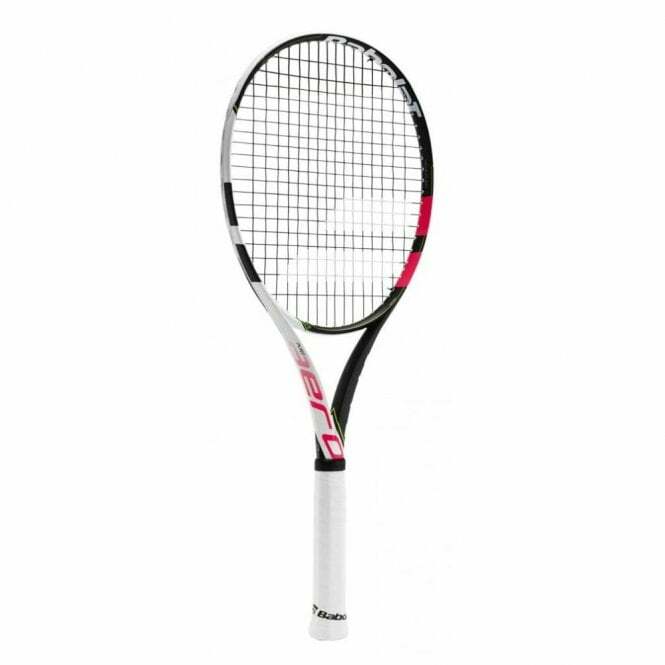 The Babolat Pure Aero Lite pink tennis racquet is a great fit for a very wide array of players. This new version will be equipped with the new Aeromodular technology, the woofer system and cortex system are built into the frame, this results in an even faster ball, thanks to 11% less drag. 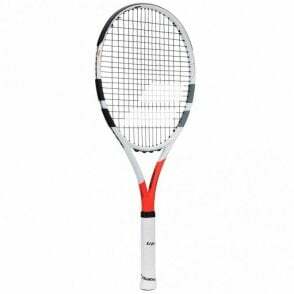 Babolat believe the interaction between strings and the ball is crucial, the longer the ball is in contact with the strings, the grater potential for spin. 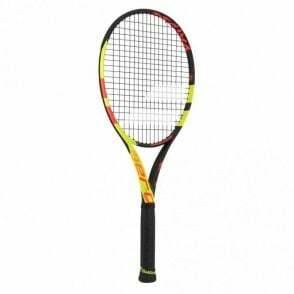 Therefore, the have developed FSI Spin I, this has created a broader weave in the string bed as well as oblong grommets at the 12 o'clock and 6 o'clock position to create more movement in the strings to help add more spin and more maneuverability thanks to the lighter weight (270g) to the Pure Aero. 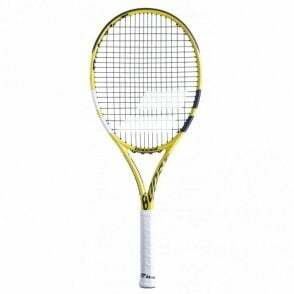 The result is more power and spin from a 270g racket. 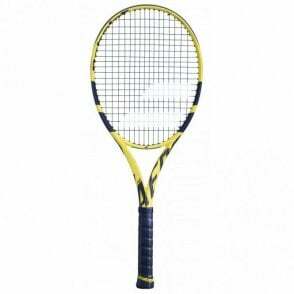 Rafa Nadal's & Jo-Wilfried Tsonga's racket of choice, but the lightest versiom for improved handling. This racket has a nickname, THE SPIN MACHINE! 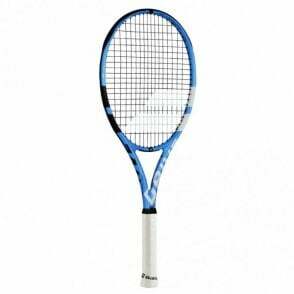 FSI Spin I - A more open string pattern with a redefined sweet spot and new oblong grommets at 6 and 12 o'clock allow for more string movement to generate maximum spin. 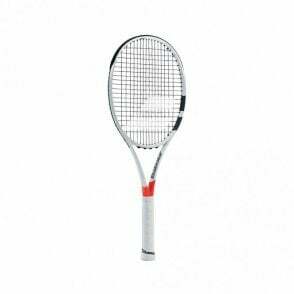 Graphite Tungsten construction - Provides excellent stability when the balls strikes the racket, allowing better control & power. Tungsten at 3 o'clock & 9 o'clock position. Cortex Technology - A CDS (Cortex Dampening System) interface transmits useful information to the player and the handle design brings that information closer to the player's hand for perfect control on every hit and prevents harmful vibrations that can cause injuries such as tennis elbow. Unlike the previous Aeropro Drive, this is built into the frame. Woofer System - The first and most effective frame-string link system: a longer ball/string contact time for greater control and a sensation of comfort. This is also built into the frame with the Pure Aero. 2 heavier version of the Pure Aero Lite are available - the Babolat Pure Aero tennis racket at 300g or the PureAero Team at 285g.